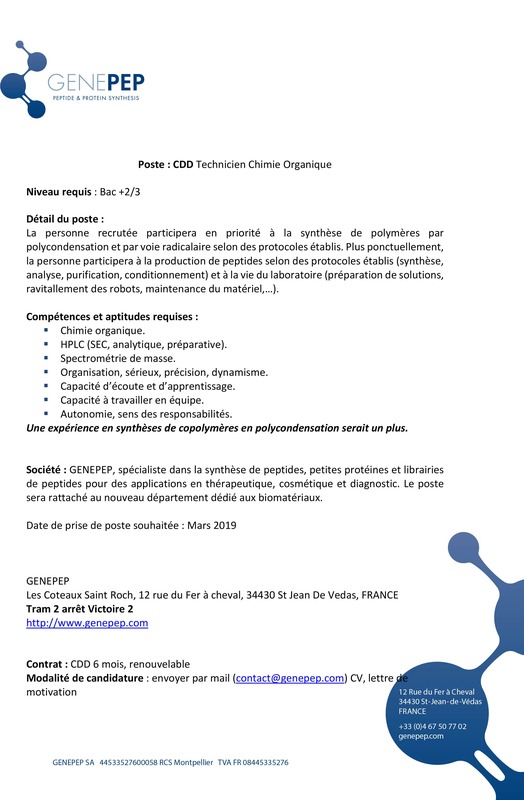 GENEPEP is looking for a new team member by early february. The work will prioritize polymer synthesis by polycondensation but will also consist in peptide synthesis. You can see below the full offer.